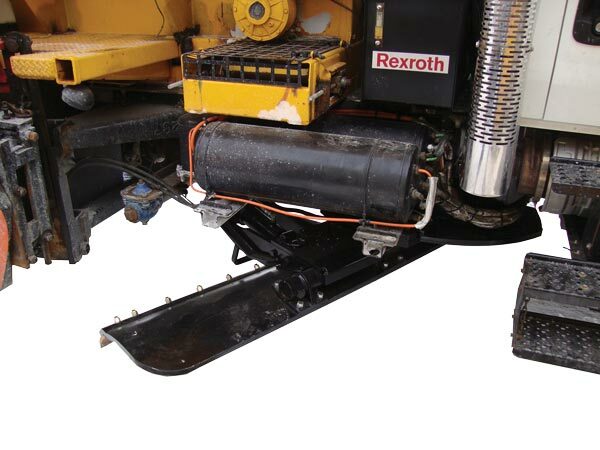 900 Series underbody scraper, for year-round use, manufactured by Tenco. 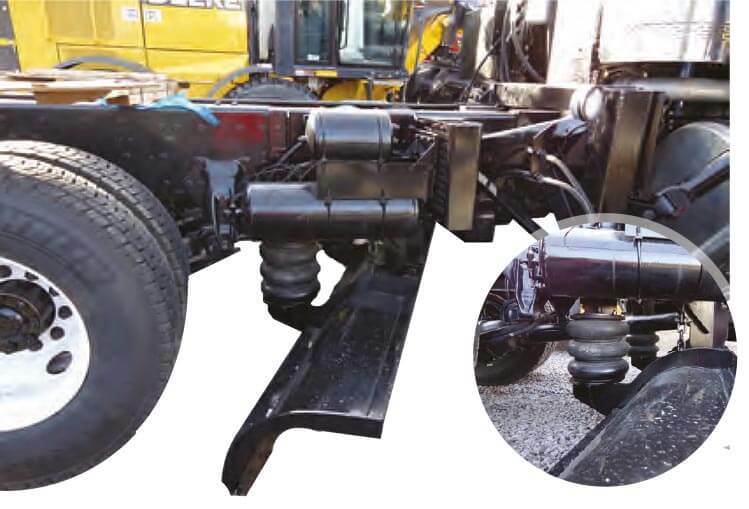 Every component of the 900 Series scraper has been meticulously designed to withstand the most severe road maintenance tasks encountered year round. For operator safety, a dual air bag system cushions the impact upon encountering road obstructions. Independently controls the pressure of each air bag for maximum efficiency when scraping hard packed snow and ice – especially on uneven road surfaces. 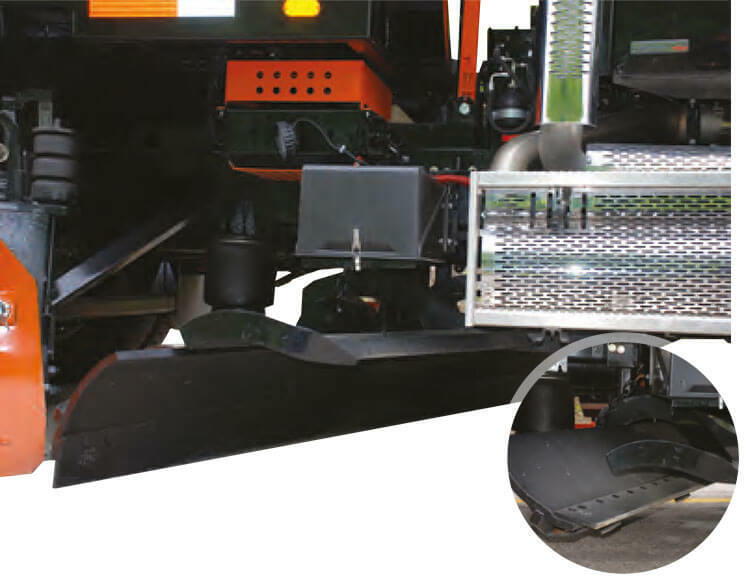 The result of continual innovation in underbody scraper technology! – Cutting edge is supported by a boxed section consisting of two (2) 3/8” thick formed Brinell 400 steel plates and a 1 1/4” X 4 1/4” flat bar. – 1” thick moldboard is supported by seven (7) 5/8” thick Brinell 400 steel plates. – Ample ground clearance when scraper is in travel position. Tenco has come a long way in the past few years! From airport runways to hundreds of kilometres of highway, Tenco's trucks travel further and longer to push back unwanted snow.